DRIVING SCHOOL / DRIVING INSTRUCTOR / DRIVING LESSONS which is a perfect blend of professional experienced quality instructions with price and value that is impossible to beat. Mock test available--Assessment of your driving before road test. 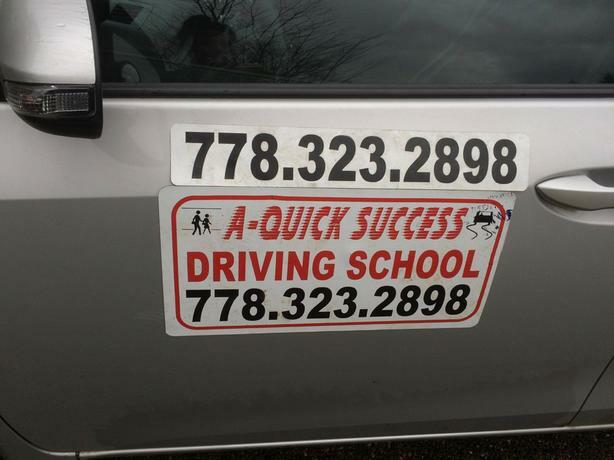 PATIENT and EXPERIENCED driving instructor helps get you on the road! -We specialize in teaching parallel parking and reverse stall parking with easier and simpler methods. -Most of our students pass in the Road Test in first go. -we coach the students in an excellent way and makes learning DEFENSIVE DRIVING EASY. SERVING PROUDLY MANY CITIES--- BURNABY / RICHMOND / VANCOUVER / NORTH VANCOUVER / POINT GREY / SURREY / DELTA / LANGLEY / CLOVER DALE / NEW WESTMINSTER / PORT CO QUIT-LAM / ABBOTS FORD / MAPLE RIDGE / PORT MOODY ETC.